Laparoscopy has been utilized in pediatric urology for over 30 years, dating back to Cortesi, who first described using the modality for the evaluation of non-palpable testes . Nevertheless, acceptance of pediatric urologic laparoscopy has generally lagged behind when compared to its adult counterpart, in large part due to the nature of the practice of pediatric urology . Fortunately, there has been a shift in the paradigm. 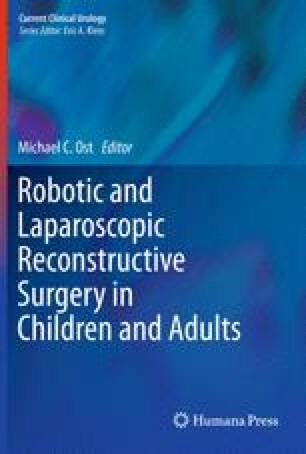 Pediatric laparoscopy has recently benefited from improvement in equipment and technology, as well as an increase in experienced laparoscopic surgeons entering the field. The techniques that were developed in adults have been refined for the pediatric population, allowing for the expansion of the technique from diagnostic procedures to complex reconstructive surgeries. The online version of this chapter (doi: 10.1007/978-1-60327-914-7_8) contains supplementary material, which is available to authorized users.